General Motors is looking to undergo a major IT transformation, a move that it expects will increase innovation, profits, and market share. 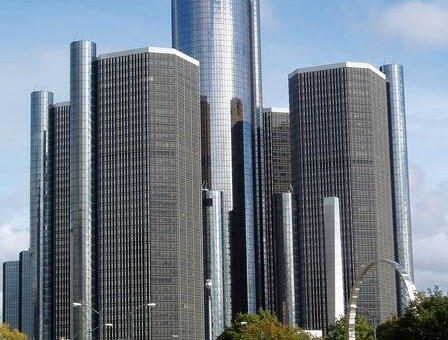 The automaker will hire thousands of new information technology workers over the next three to five years as part of a new IT strategy set in motion by GM vice president of information technology and chief information officer Randy Mott. Today, 90 percent of GM’s IT duties are carried out by workers who do not work for the company, while 10 percent is handled by the automaker’s IT workforce of about 1,500. Mott is looking to flip those percentages, increasing the amount of IT workers who enable innovation (such as new business solutions and processes), rather than just supporting the business. Currently, 75 percent of GM’s in-house and outsourced IT staff support the business but only 25 percent work to add new capability. In addition, Mott plans on cutting the number of GM data centers from a whopping 23 globally today to just two in Michigan — one of which will be in Warren. Other plans include creating three new software development centers in the U.S. and reducing the automaker’s nearly 4,000 software applications, many of which are redundant. “We want to simplify the environment that we run in so it takes less effort to do that and at the same time drive more capability to our business,” Moot told The Detroit News. The General intends to hire recent college grads for many of the new IT jobs. Mott expects the new IT strategy to decrease costs, a move that falls directly in line with goals set out by CEO Dan Akerson. Mott’s IT strategy contrasts greatly with that of Ralph Szygenda, who retired in October of 2009. Szygenda, who became the automaker’s first CIO in 1996, was notorious for outsourcing while saving the company billions of dollars. Where can I apply, is any further information given? It’s been my dream to work for this company and I’m in IT. Actually, never mind. I don’t want that job, in 10 years they’ll probably turn around and get rid of everyone they hired and out source their IT, again. Interesting how companies are discovering the benefits of insourcing employment! They’ve already in sourced jobs once. Then they hired companies like HP to manage their IT. It’s hardly out sourcing when they’re American employees. They’ll end up canning everyone again and out souring to a local or major company like Compuware, ect. Mark my words, I’m in IT and they did this before. Not so sure your prophecy will come true. This is a major undertaking with intra-organizational support from pretty much everyone involved meant to improve the not-so-tangible competence and vital business processes. And unlike in the past, this effort is being driven by a desire to be the best — in products, services, and everything in between. It’s difficult to accomplish this with outsourcing.